The people who live in the small farming community of Church Hill are up in arms about plans to build a water park right in their back yards, so when an out-of-town stranger buys the McMurray land at the last minute and just wants to make his home there, they couldn't be happier. They bring over casseroles and invite the new couple to church, but the newly-wed couple just doesn't fit in. Within a month the nature-loving Julius has been shot and his wheelchair-bound wife wants nothing more than to get out of Magnolia County. 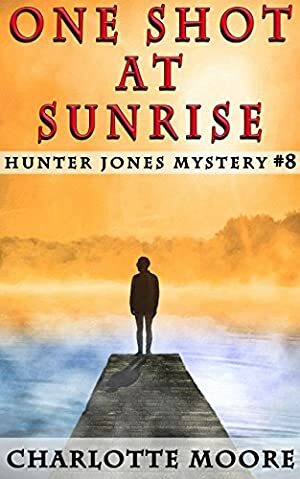 Hunter Jones calls the murder victim's hometown to gather background, as her husband Sam Bailey deals with multiple motives and a missing gun. Charlotte Moore has retired after years of working as a reporter for community newspapers. She has won numerous awards for both news and feature writing and lives in Perry, Georgia with her two cats, Pepper and Mr. Darcy. This is the eighth book in her Hunter Jones series, and she is currently working on the third book in her Kate & Kylie mystery series. Both series are set in southern small towns. The price of this book has changed 16 times in the past 701 days. The highest price to date was $3.99 last reached on February 26, 2019.